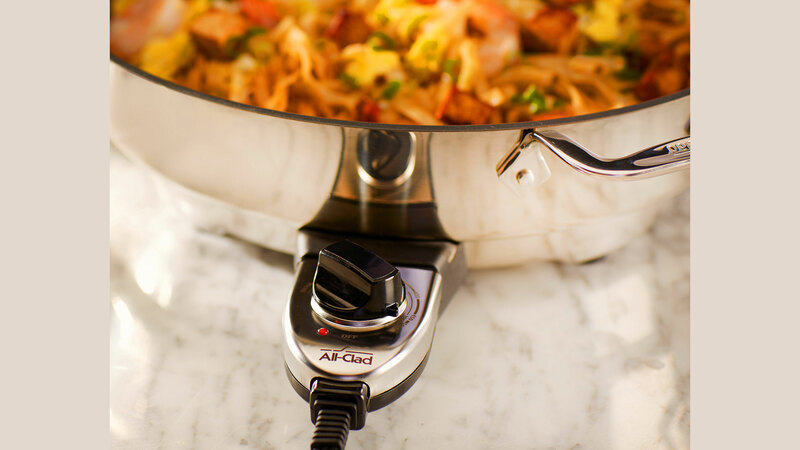 The All-Clad Electric Nonstick Skillet can cook all your favorite dishes to perfection, right from the countertop. 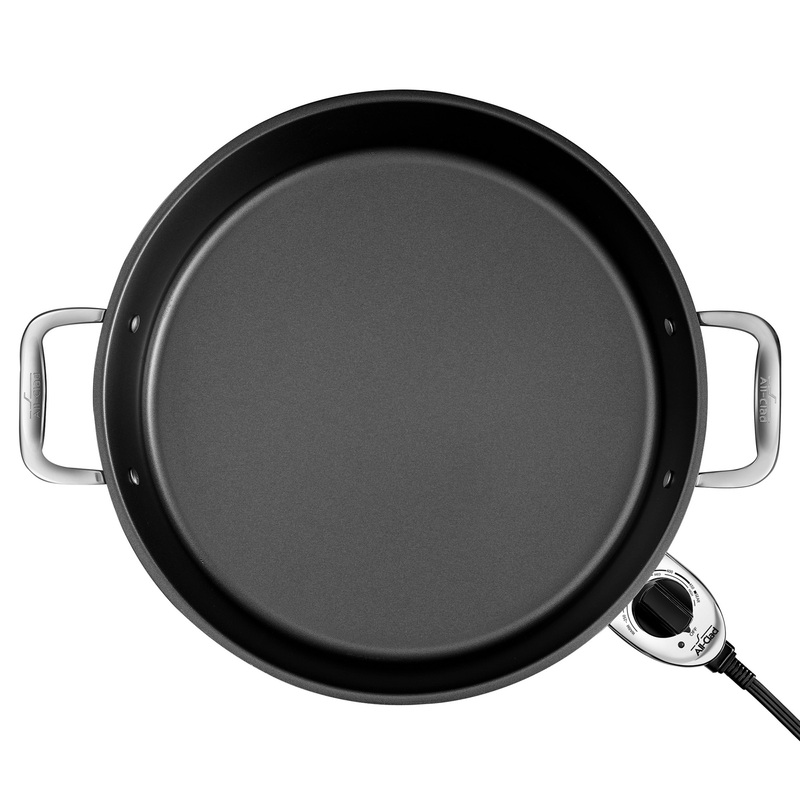 Inspired by the All-Clad cookware range in both design and performance, the round 14-inch skillet features a single-ply stainless steel construction allowing it to heat evenly and efficiently for perfectly browned food, from the center all the way to the edges. 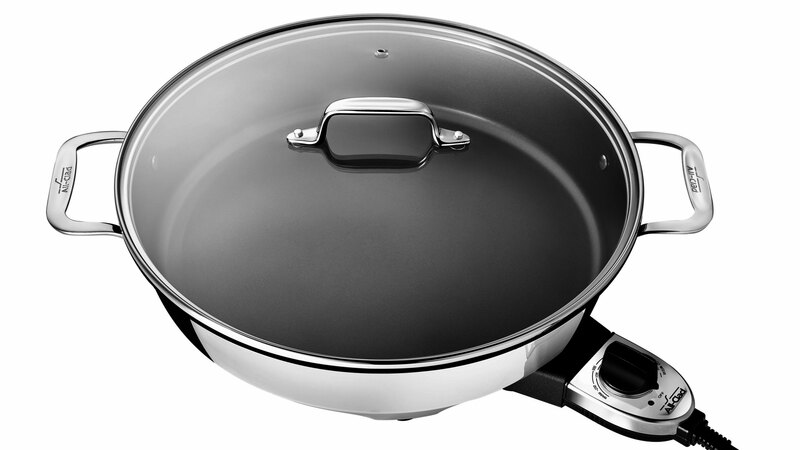 The tall, straight sides help prevent splatters, and the temperature can be adjusted with a simple turn of the dial. 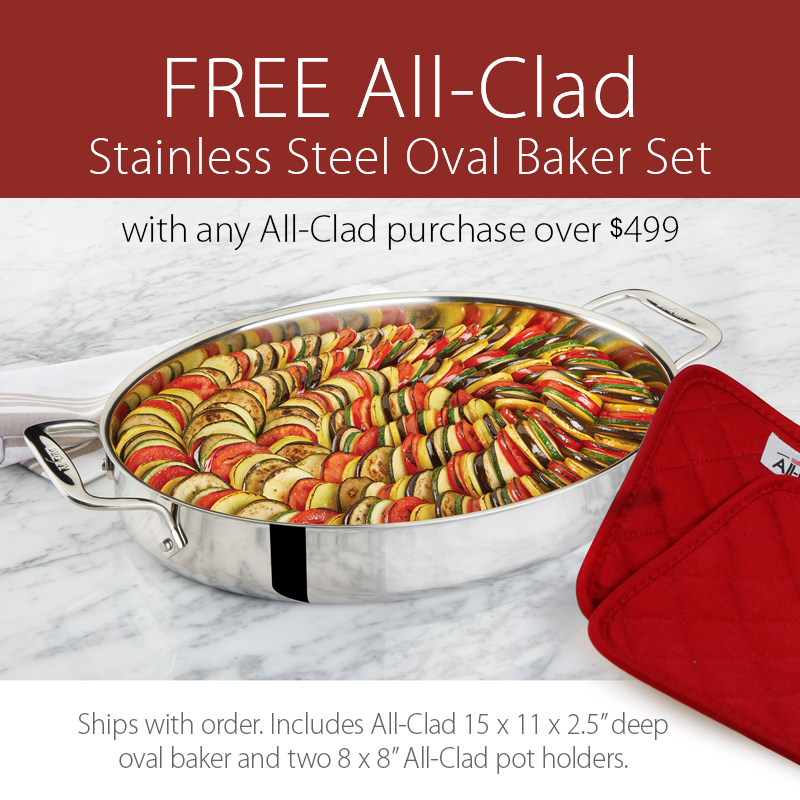 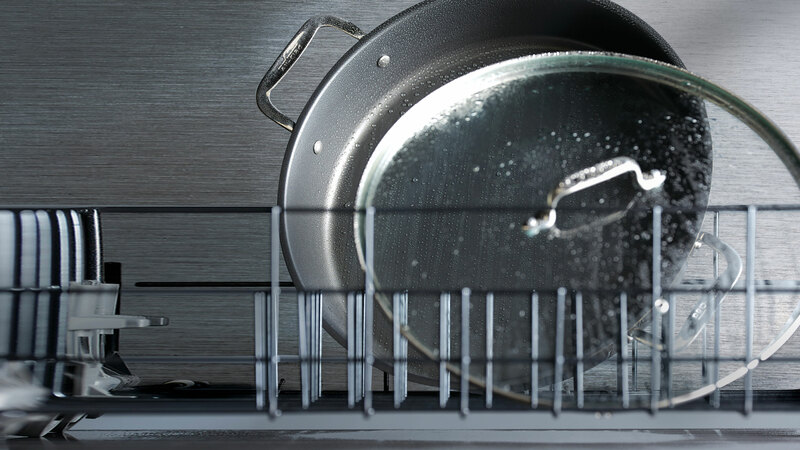 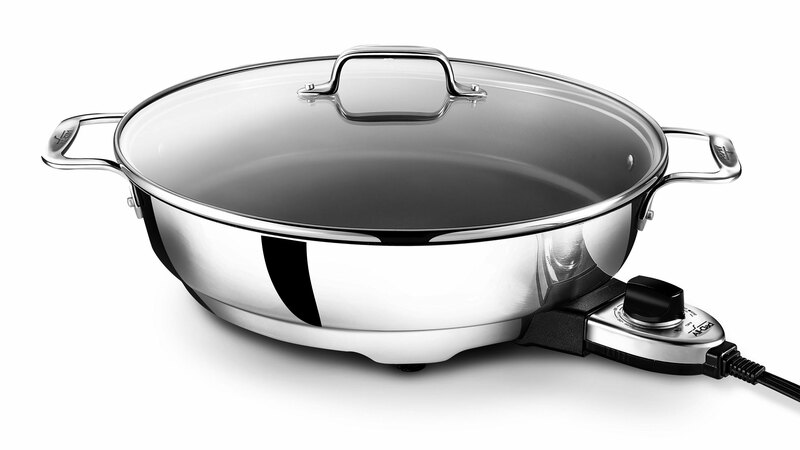 Even more, the stainless steel skillet's nonstick Eterna coating ensures effortless food release and makes cleanup a breeze. 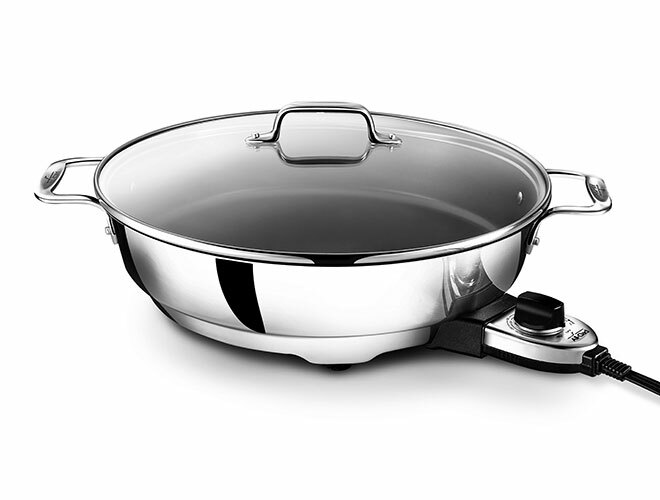 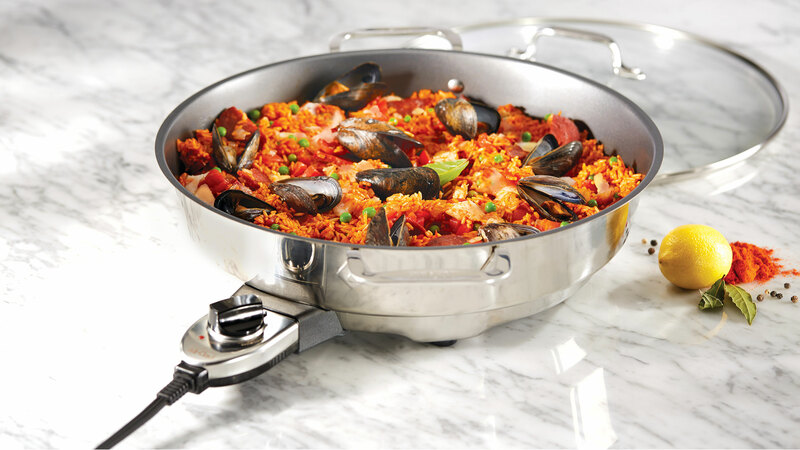 On its own or as a way of expanding an existing All-Clad collection, the All-Clad Electric Skillet provides exceptional versatility, impressive precision, and everyday cooking convenience.